Jake Pentecost (John Boyega) has abandoned his Jaeger pilot training only to become caught up in a criminal underworld. But when an even more unstoppable threat is unleashed to tear through our cities and bring the world to its knees, he is given one last chance to live up to his dead father’s legacy by his estranged sister, Mako Mori (Rinko Kikuchi)—who is leading a brave new generation of pilots that have grown up in the shadow of war. Joined by gifted rival pilot Lambert (Scott Eastwood) and 15-year-old Jaeger hacker Amara (Cailee Spaeny), as the heroes of the PPDC become the only family he has left. Rising up to become the most powerful defense force to ever walk the earth, they will set course for a spectacular all-new adventure on a towering scale. 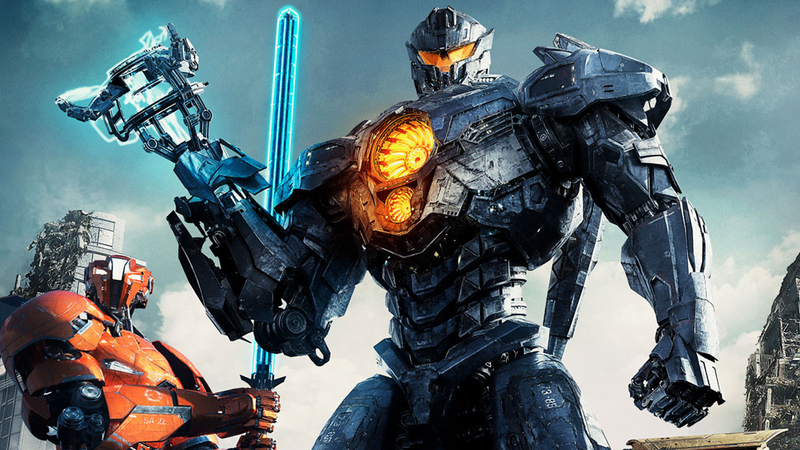 Pacific Rim Uprising was directed by Steven S. DeKnight from a script he co-wrote with Emily Carmichael, Kira Snyder, and T.S. Nowlin from a story by Guillermo del Toro. Jing Tian, Cailee Spaeny, Adria Arjona, Charlie Day and Burn Gorman also star. The movie opens in theaters on February 23rd.